Last week Nishan sent me an e-mail with a photo of a White-eared Bulbul he had photographed at Udhailiyah heights in the Saudi Aramco camp at Udhailiyah. Nishan has kindly allowed me to use his photographed that is reproduced below. Rob Tovey has pointed out that the birds in the Eastern province of Saudi Arabia appear to be of the subspecies Mesopotamia found in Iraq and Kuwait as they have very yellow eye rings and a bigger white ear patch. The subspecies that occurs elsewhere in Saudi Arabia including Riyadh, Tabuk, Wadi Dawasir, Sakaka and other areas in central and central western Saudi Arabia appear to be the Indian subspecies leucotis as birds are believed to have been introduced in these places. 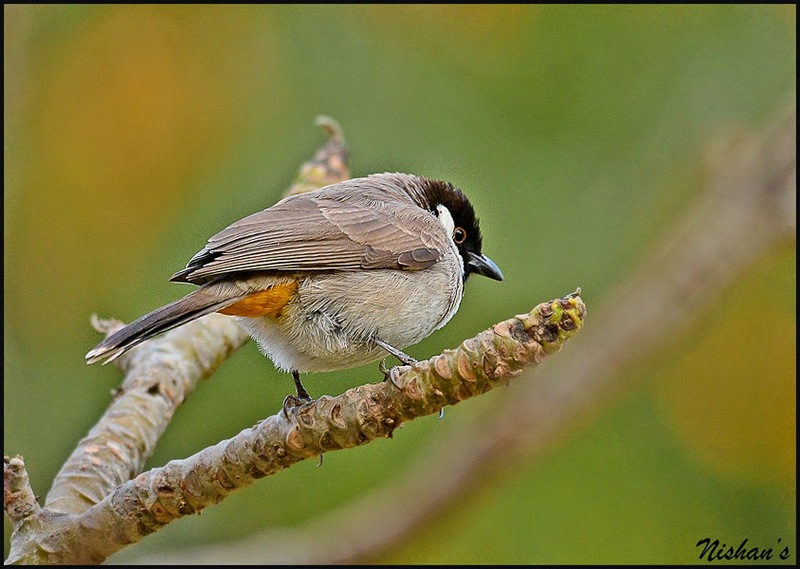 The species is widespread through much of the country although does not occur in the southwest around Jizan where the similar White-spectacled Bulbul is common. They are a common resident breeding species where they occur.